Landscape: Making the complex simple | Chocolate that deserves a home in your belly! 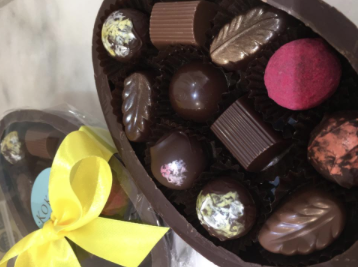 News & Opinions > Chocolate that deserves a home in your belly! Chocolate that deserves a home in your belly! Spring has finally sprung and this weekend promises to be the warmest of 2017 so far – not good for keeping your Easter Eggs unmelted! 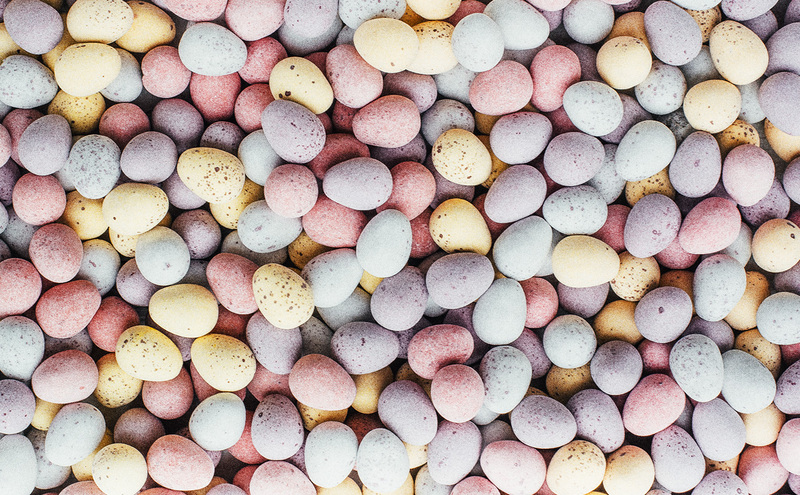 Yes, that magical time of the year is upon us, where all of England shuts down to enjoy four days of leisure and far too much chocolate. We’re kooky for cocoa at Landscape, and not just because it tastes great – studies have shown that dark chocolate can improve overall health and lower the risk of heart disease, as well as make you feel better mentally. If you fancy sampling some of our chocolate delights, check out the chocolate choices from the sweet tooths in the office below. Recommended by: Claire Brooks, Designer. Reason why: I can never get enough of these little balls of chocolatey goodness. 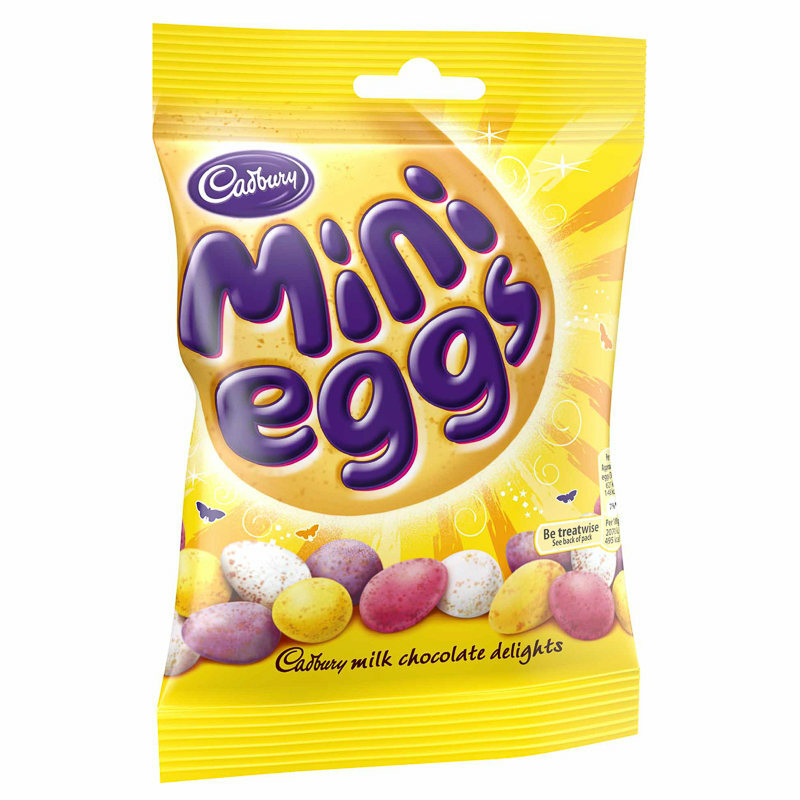 The taste of the milky Cadbury’s chocolate combined with the crunchy texture of its shell always keep me wanting more, and at £1 a bag it’s hard to say no sometimes. If you want to enjoy these with a friend then don’t ask me because if left alone with a bag they will be gone in minutes…sorry. Recommended by: David Hughes, Senior Designer. Reason why: 1. UTZ certified, and really that should be the only reason anyone needs. 2. I haven’t actually tasted it but have you seen that price point?! 3. Actually, and truthfully, I would have to say that Lindt Excellence Caramel with a touch of sea salt is my favourite. 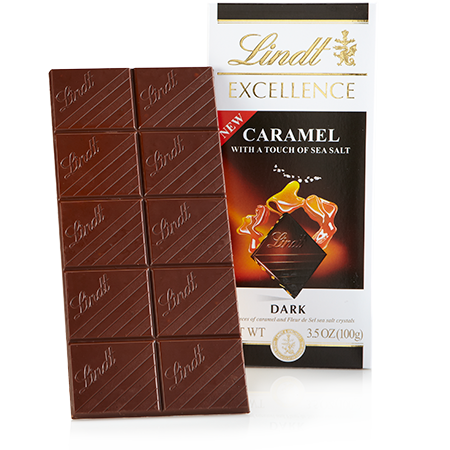 Really for three reasons: The base of Lindt’s signature dark chocolate (a contender on it’s own terms surely – or at least a bustling, crowd favourite, quarter finalist); the caramel chunks which are frankly O.M.G. and just the right amount of chunky; and finally, the sea salt… and it’s not just any liberally or god help us loosely applied quantity of sea salt… it’s a touch… the kind of touch that only a fully, and deeply trained (or perhaps preternaturally blessed) swiss chocolatier could apply. It’s like God’s own salty alpine snow, drifting slowly (but purposefully) from heaven’s outer rim, falling like a virgin’s kiss on an already quite delicious (and widely available) chocolate bar. I like it. 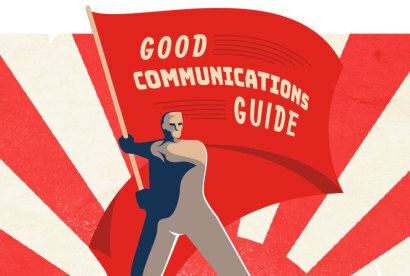 Recommended by: Johnathon Ryder, Client Services Director. Reason why: A favourite of mine is the nib-a-licious bar as I just love the difference in the texture from the cocoa nibs and the additional flavours they offer. I’d certainly recommend that one. 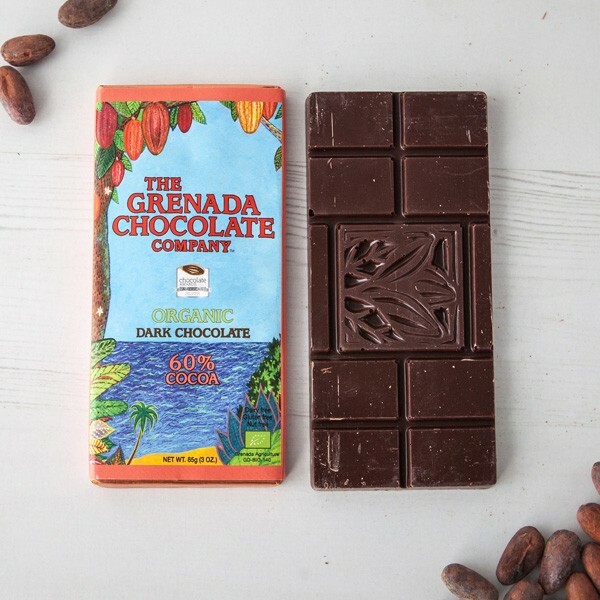 Love the international award-winning story, from ‘tree to bar’ a well-respected cooperative chocolate company using the power of solar, sourcing their beans from their own farms, where local people benefit from making outstanding chocolate, yum yum. 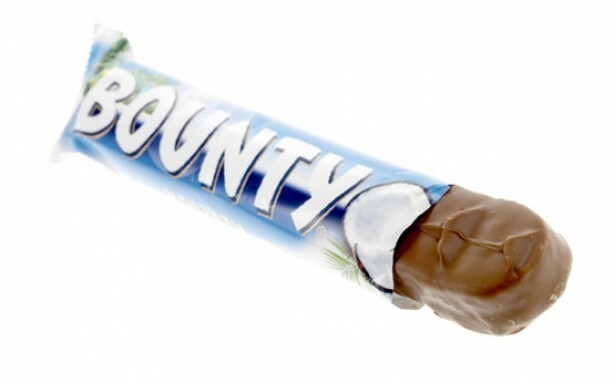 Reason why: I’m coconuts about Bounty bars. Like me, coconuts are empty on the inside, and far too hairy on the outside. The chocolate bar itself is one of a kind, and arguably one of the healthier bars around – I’m sure I read somewhere that coconuts were fruit? Reason why: It tastes amazing, it’s handmade and the bars are just the right size – you don’t feel greedy eating a whole one. They say on their FB page ‘Handmade Artisan chocolate bars and chocolates created with a passion for the finest quality chocolate and a sensational taste experience.’ I can’t dispute that. And challenge anyone to. The best thing is, if you are facing angry commuters at Woking Station (very regular occurrence) you can buy one of each type at the FCB Coffee shop on platform 2. When I am not fancying chocolate, I’ll commute from Worplesdon, where the early morning drug of choice is the best cappuccino in the UK, made by Alex, (Demis Rousoss look alike) from what was the former gents’ toilets. But I digress, my apologies. Back to the ‘sen-sa-tional’ Kokoh Chocolate. If you like the sound of Chilli and Lime, Wattleseed and Coffee, Himalayan Pink Sea Salt or just Noir or Milk you won’t be disappointed. They do Easter Eggs too, of course. Reason why: I always say that the best food is one that evokes memories. 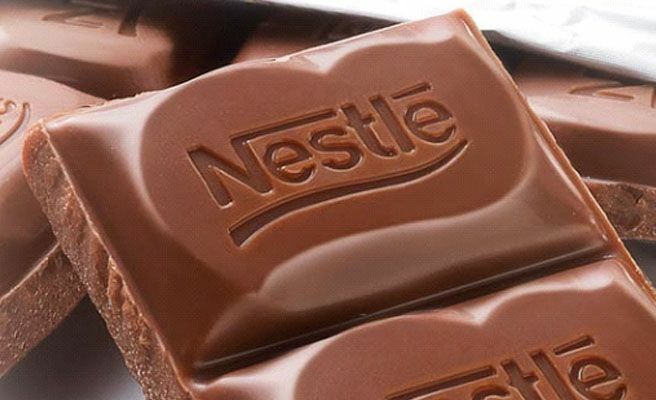 This is what happens to me when I eat Nestle. It reminds me of being by the sea with my grandparents when I was 7 or when I was studying for my exams and that one piece of chocolate was a reward for hard work and a welcome break. What more could you want?